I’m so excited to watch my favorite Mother of Dragons, Daenerys, tonight on Game of Thrones! Pat and I are obsessed with show and I am such a complete GOT nerd that I had to have this pink Mother of Dragons sweatshirt I found on Etsy. I am so obsessed with Etsy, I can always find the coolest custom t’s and tanks that you can’t get in your average store! Another thing I am also obsessed with is my Fitbit. 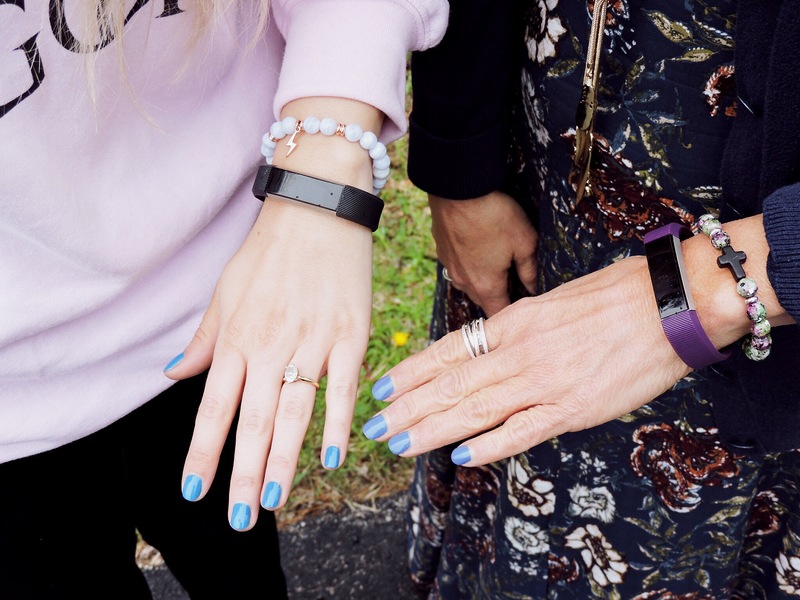 For a Mother’s Day gift we got our mum a Fitbit Alta and are so excited to challenge each other! I love the look of the Alta because it’s a bit more sleek and fashionable. 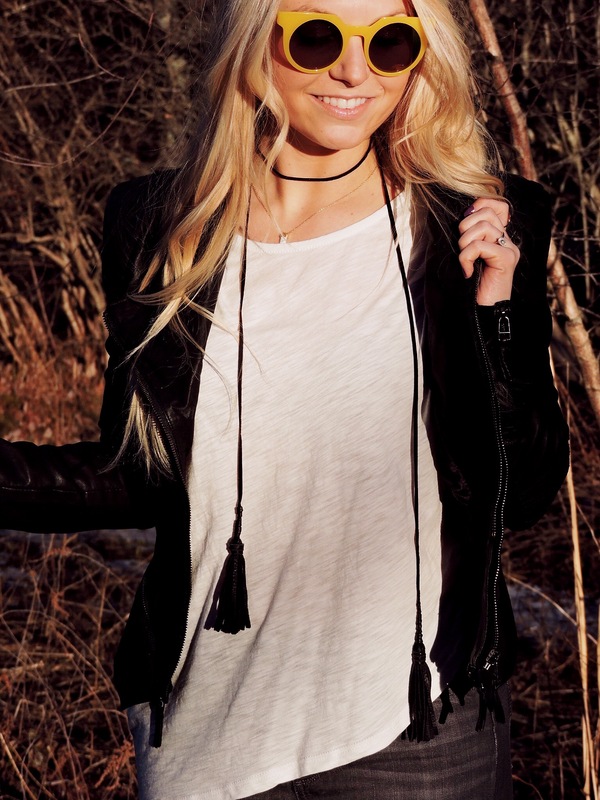 You can even get gold/silver/leather straps that are stylish for everyday or even going out! It’s so cool to see how much you actually walk in a day and how much quality sleep you are getting. Anyone else on this Fitbit train?! Well I hope you all had a Happy Mother’s Day! Song Inso>> Fly// Maddie & Tae my mum’s fave song!! 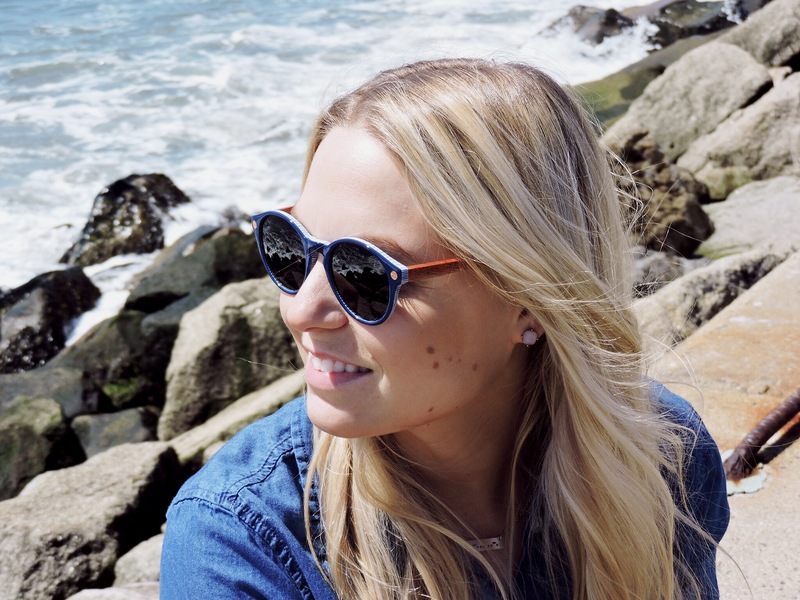 How cute are these Rayburn Eco sunnies from Proof Eyewear?! What’s even cooler is they are made of wood, sustainable, waterproof and a portion of the purchase benefits various causes to help others. You can’t beat being cool and kind! Hope you all have an amazing weekend!! Its festival time again and of course I am far far away from a desert filled with scantily clad super models wearing rompers. So… I am jealous BUT when you pair a cute cactus tank and layer Mod Ammo necklaces, you too can feel festival ready! I am seriously obsessed with Mod Ammo. What is not to love about recycled bullets with turquoise and quartz?! Fringe Crossbody>>Target no longer available 😦 similar here! I have an obsession with my Bed Head Little Tease Crimper. Let me tell ya why! It’s a great way to get a funky bohemian texture without the everyday beach wave. If you have fine hair it can instantly give you volume. It’s a great base for updos and braids. It’s an awesome anchor for you clip-in hair extensions. It’s like your mom’s crimper is back and ready to party! For a half up Coachella, look I crimped my hair and braided the front sections. Then I gently pull the braids apart to make them a little thicker. Finally, you just tie the two braids in a knot and tuck the ends in! For a mohawk vibe, take your crimped locks and put them into three ponytails. You can totally leave them like this for a hawk-style pony or put them in three messy buns for a mohawk updo! Super Easy and a little edgy. Check out below! Anyone else diggin crimper right now?! Warning: I’m a complete dork and can think of many puns for this post, but for your sake, I’ll allow myself two! MOOOVE over fishtail, pigtail, ponytail there is a new tail in town…the cowtail! I’ve got beef with the hair industry (2 puns and done) because cowtails have not been repped. Believe it or not, one summer I worked on a dairy farm for a couple of weeks and I have been in love with cows ever since! I am a lover of “next day hair” and dry shampoo. What’s not to love?! That’s how I started what I’m calling the cowtail braid. As usual I slept with my hair in a loose braid and woke up in a hurry so I did a braid but I stopped braiding about a quarter of the way down. Leaving the ends messy and wavy gave it a bohemian vibe and I realized it reminded me of a cow’s tail! I added a dutch braid with the tutorial to give it a little something extra! So here it is friends and I hope you love it! If you do love it or try any of my tutorials please #GoldiesArrow and #cowtailbraid 🙂 Thanks for following, I appreciate it! Stay Golden! You never felt this way. Ya you never fall this far. You never believed in love at first sight until tonight when I walked in this bar. Hey frands! Thought I would do a quick tutorial of the crown braid I was wearing at the flea market! All you need is some bobby pins (these are my fave because there are so many, and like socks, my bobby pins are always missing haha and they are great for holding updos), clear elastics and some texturizing spray I like Oribe Dry Texturizing Spray $44 or Redken’s Windblown 05 $19. It’s the perfect style for next day hair and you’ll be sure to get compliments!! The Fourth weekend of every month The Fairgrounds Nashville is home to the Nashville Flea Market! It’s in the top 10 flea markets in the country with up to 2,000 booths with a range of antiques, clothing boutiques, hand crafted furniture…you name it! My favorite part of the flea market was discovering Southern Sap Woodworks, they had a dining room table and benches that knocked my socks off. If I lived in Tennessee I would have zero dollars left to my name! Here are a couple pics of an awesome day at the market with family, friends, gorgeous Nashville weather and a special appearance with my nephew, Indiana Bones! Also: if you are like me and always wondered where the hell the name flea market came from?! I did a little googling for ya! Flea Markets origin came in “1917, especially in reference to the marché aux puces in Paris, so-called ‘because there are so many second-hand articles sold of all kinds that they are believed to gather fleas.’ ” Thank ya Dictionary.com! It took a little work for me to track these yellow sunnies down, let me tell you! 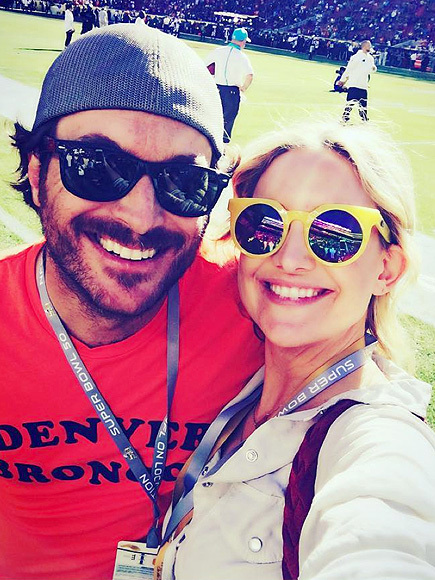 I saw Kate Hudson wearing them during Super Bowl 50 and I searched high and low to find out what brand they were. I was pumped to find they were Quay Australia Frankies AND under $50!! I love when celebrities wear pieces that are affordable. I also can’t get enough of Etsy. 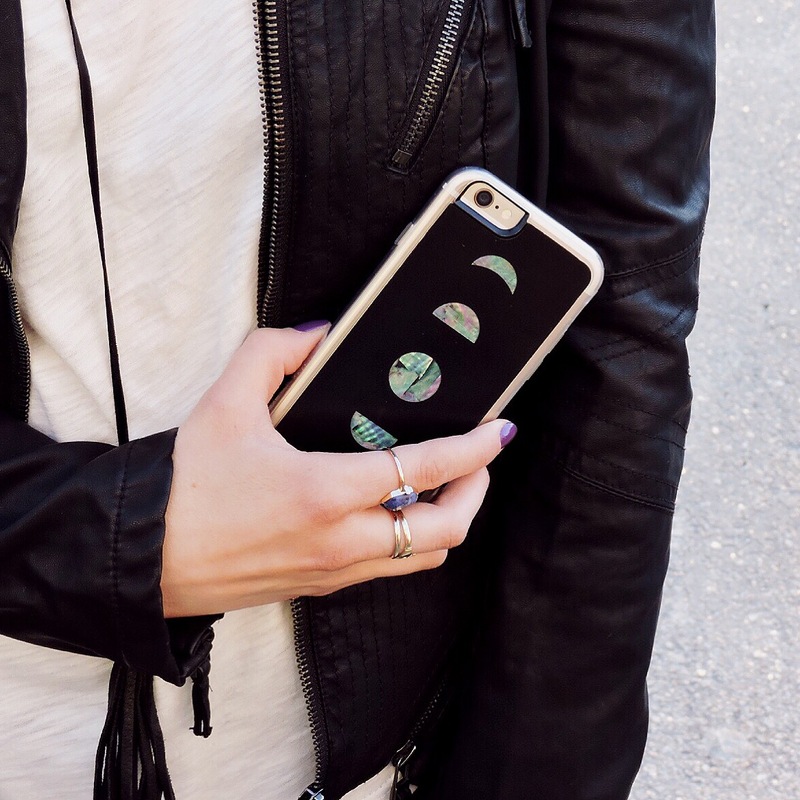 I have been able to find the coolest shops for accessories that are handmade and support small businesses! My latest find has been Southboundvlc. Southbound has handmade leather goods straight outta Texas! I love the leather choker I got, it’s such quality and it makes your basic T look badass! 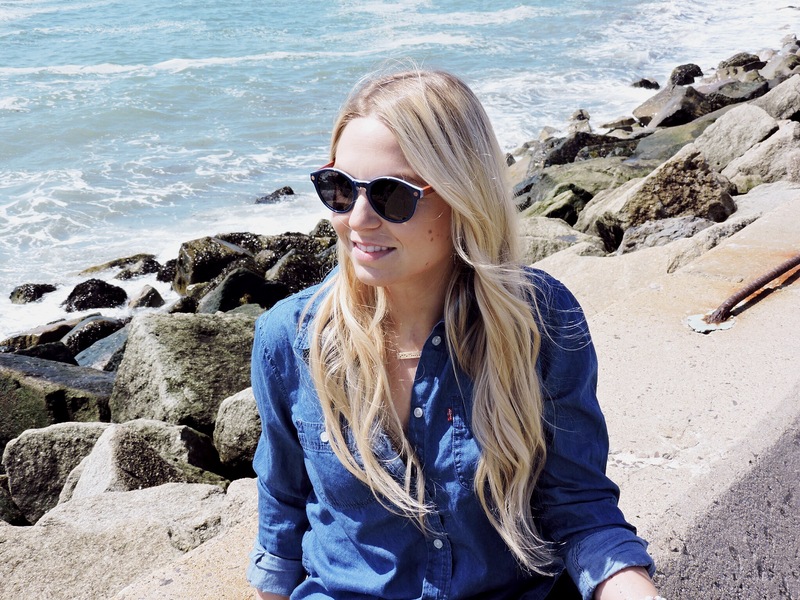 Flares>> Paige Denim High Rise Belle Canyon in Luna// found them on 6pm for 44%off!! @katehudson wearing her yellow Frankies! !